I’m sure you’ve probably heard of Mercury Retrograde, but did you know that every planet in our solar system goes retrograde at one point or another? 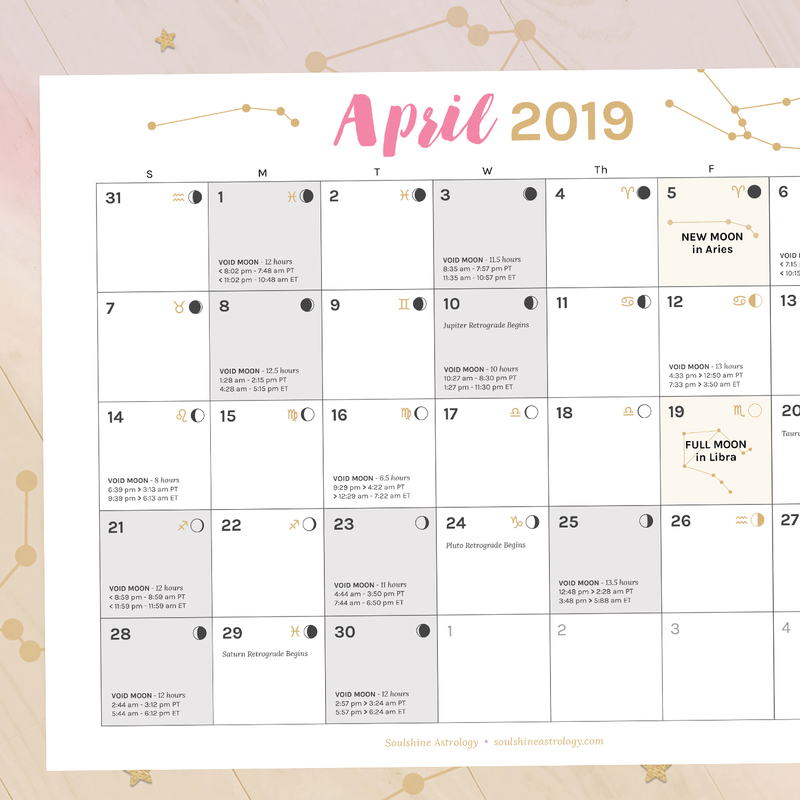 During the month of April 2017 ALONE, we will be experiencing a crossover of 5 different planetary retrogrades including Mercury, Venus, Saturn, Jupiter & Pluto, some of which will last for many months. When any planet goes retrograde, it appears to go backward in the sky – retracing its steps back through the same degrees of the zodiac wheel it had just passed over – and forcing you to take a second look at how you’re approaching particular areas of your life + career. Although each planet goes into retrograde at different frequencies & lengths, they all require us to go back and take a deeper look at how we are handling things to see if there’s a better way – whether that’s in our communications, our values, our practical goals, our plan for growth, and how we want to change or transform next. With so many happening at all once, this is really meant to be an exploratory period. Not a whole lot of things will be moving forward very quickly. In fact, there may even be plenty of delays to keep you busy. You may feel like these delays are taking you away from what you really want to be doing, but the truth is that the time & effort you put into exploring, reflecting, and tying up loose ends will pay off in dividends in the end and it could even help you discover a path that will end up being way better than you had first imagined. Mercury is the planet of communications, technology, and ruler of our overall mindset. It goes into retrograde motion for about 3.5 weeks around 3 or 4 times a year. This time, it will move backwards through the Earth sign of sensual, stable & harmonious Taurus. This is a time to tend to the practical matters in your life + career, and focus on strengthening all of the fundamental building blocks that keep everything afloat. But it may not be easy. Communications & technology may be extra unpredictable, as we are being reminded to tap into our intuitive nature and pay attention to the messages your soul has been trying to tell you when you were too busy moving from one thing to the next, and then the next, in your everyday work life. The sign of Taurus also has to do with questioning your values. Do you still want what you think you want for your life & career? And has the way you’ve been working towards it actually been working for you? Perhaps it’s time for a reshuffle! 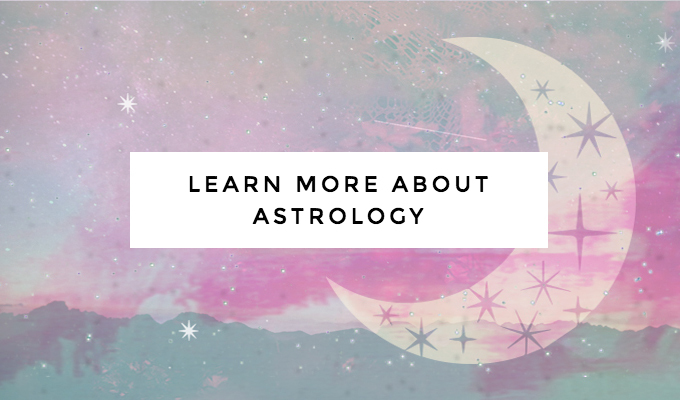 The sign Mercury Retrograde falls in for you on your chart can also help explain which area of life these issues may be coming up for you (see the latest Career Scopes to find yours!). For instance, Taurus is in my 3rd house of Networking, and here I am now on a trip back to my hometown to re-visit my relationships with family & friends and people I used to ‘network’ with for most of the time Mercury is retrograde. Venus is the planetary ruler of Love & Money and only goes into retrograde motion once every 18 months, however it’s just about finished now. During this time, we have been reviewing our past & current issues around love, money, and our values. Perhaps you may have received money from an old project you had forgotten about, or an old lover or friend could have come back into the picture so you could revisit your relationship with them. But after receiving love & money from the past, you may struggle to get clear on what you want for the future. What do you really desire, want & value? You can actually be more confused than normal about what it is that you want, or how you want to earn your money. It can seem like you’re not moving towards what you want, or you’re just floundering along hoping for the right idea to come along. Trips to the beauty salon are ill-advised, as is cosmetic surgery, or any visual upgrades to your business, including a re-brand, as these things may require several more revisions to get it right. That’s why it’s especially important for us to cultivate self-love while Venus is in Retrograde. This is not about surface level love & beauty anymore, it’s a reminder to dive even deeper and find it from within yourself. After Venus returns to its direct motion on April 15th, there will still be a shadow period for a few weeks where things may still be moving slowly, but they will eventually speed up again and you will finally be able to move forward with your love & money issues with much more clarity around your values & desires. Note: Out of all of the retrogrades, Mercury & Venus Retrograde are the most likely to be noticed or felt because these planets are closer to earth. The further away planets – Saturn, Jupiter & Pluto – are less noticeable, however the day they go direct or retrograde can be unpredictable and can be especially noticeable when they are making any connections to your chart. I often mention here that Saturn is like a strict teacher who makes us do the things we need to do to learn & grow to our potential. This is the planet that governs time, restrictions, constraints, karma, and the things that make life challenging, but also rewarding and worthwhile. It’s also the ruler of all things practical. Saturn’s retrograde is an annual event and this year it will last until the end of August. During this time, we will be revisiting what practicality means to us. What are your true goals and why? Have you been working towards them in the right way and being disciplined enough in the way you structure your time? If not, how can you start to move toward your goals in the best possible way? It can actually be really hard to know the answers to these questions while this retrograde is happening, and that’s precisely what we’re meant to explore. As Saturn moves backwards – very slowly – through the later degrees of the sign of Sagittarius, this retrograde period also has a lot to do with going back and re-discovering the Truth. Going back and uncovering the truth about our world, about us, and the people around us, we can begin remembering the truth about what we are here to do, achieve, and experience in this lifetime, so that we can begin to restructure our lives & careers to be in alignment with our truth. While we are exploring these things, crystal clear clarity may be especially difficult to find. That is why it is usually NOT a good idea to start a new business during this time, but it can be very helpful for refining your business and thinking about how you can get it into greater alignment with your truth on more of a personal, internal level. The external rewards and movement will come later, after Saturn goes direct! Jupiter has been in retrograde for a couple of months now already and will last until June 9th. Since it is known as the planet of luck, growth & abundance, we are currently questioning how we want to grow and what true abundance really means for us. Although this is not a great time for huge expansion in your life or career, it can be very helpful for revisiting your studies, taking a class, brushing up on your skills, or taking a trip you’ve always wanted to go on – all things that allow you to explore your growth and may even help you begin to decide how you want to grow next. You also want to be careful not to over-extend yourself. Abundance is a wonderful thing, but being too generous or over-compensating can be detrimental as you may not fully realize the consequences they may bring. It is easy to think you can handle more than you really can when Jupiter enters the picture – retrograde or not – so try to pace yourself! With Jupiter being retrograde in Libra, the sign of relationships, it can also be a very exploratory time for seeing where you stand with others as well as with the relationship you have with yourself. How do you want your close business & romantic relationships to grow and expand? Which ones are worth putting your time & effort into, and which ones are only holding you back from getting in touch with your true desires for growth? These are some of the questions you may want to ask yourself during this time. Last but not least, we also have Pluto heading into retrograde for most of the rest of this year. Pluto is the planet of transformation and change. It also deals with death and re-birth, so it can signal endings as well as new beginnings. With Pluto heading backwards in the practical earth sign of Capricorn, this has very much to do with the practical structures in our lives, big and small. On a big level, we’re talking huge government changes, which will be going on for quite a while – retrograde or not – because Pluto is the slowest moving planet in our solar system and will be in the structure-oriented sign of Capricorn until the year 2023. On a more personal level, it has a lot to do with exploring the most practical way to transform or change your life & career to make it stronger and more supportive for you. Perhaps the old systems that used to support you may no longer be as efficient as they used to be. Unstable support systems can come crumbling down to be rebuilt and renewed, which is exactly what we will be working on during the time that Pluto is in retrograde motion. The question is: Is there a better way we could be doing things & how do we need to change to do things better? Pluto retrograde can also be excellent for healing and cleansing your body, mind & spirit. While you may not be able to control others’ actions, it can be easier to harness your own sense of self-control to break old habits that are no longer serving you and address issues that have long been wearing on you. 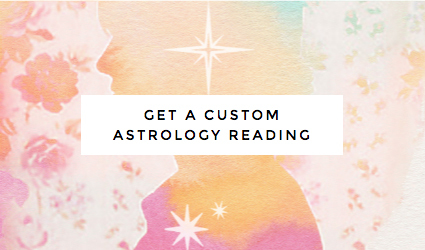 If you’d like to dive deeper into how this Retrograde Season will be specifically affecting you and your business throughout the year, I welcome you to book a 1-on-1 astrology session where we can go even deeper into the areas of your life & career these retrogrades are taking place in and how you can learn navigate these times with greater ease and understanding, so you can actually use these reflective times to your advantage! >> You can also subscribe here for weekly updates!